People get married when they fall in love and are willing to spend their entire lifetime with a person. Yet, not all married couples last together forever. Many get divorced and separated when problems and distances grow between them. Failure of marriage is brutal for all couples. If only there had been a way to determine if a marriage would last, people could spare themselves from the heartbreak and grief that comes along with divorce. Surprisingly there is a way. Some subtle signs displayed by couples can actually indicate if their union will really last till death does them part. Disagreements are inevitable in relationships and there is nothing wrong with having them. At some point or the other, every couple has arguments and not all of them head for divorce. The difference between those couples who stay married and those who are likely to get divorced is, the way they disagree. During disagreements those couples who remind each other of the things they did wrong previously have high chances of getting a divorce in future. Bringing old conflicts in fresh disagreements only means that the partners have been holding on to negative emotions like contempt and resentment for each other which surfaces when they have disagreements. There are some couples who do not fight or argue too much. When they have conflicts they reduce interaction with each other till their anger and frustration subsides. This may seem like a healthy way to deal with problems but it isn’t. Partners who don’t argue and resolve their conflicts subconsciously foster negative emotions for each other which do not surface immediately at the time of the conflict but erode their relationship from within. The pent up negativity erupts sometime later but at that time resolving the old latent problems becomes impossible. 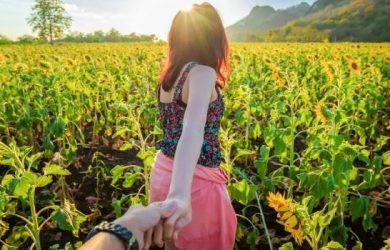 There is no way to sustain a healthy relationship if one of the partners exhibits coercive or controlling behavior, no matter how much love there is between the couple. Controlling people rather than supporting, often impose their opinions, aspirations and wills on their partners. They suffocate their partners emotionally which eventually cripples their relationships. Another thing that fuels resentment and contempt in a marriage is when one partner commits a mistake but does not apologize. Some married couples feel that they are too close to each other, they understand each other and apologizing is unnecessary. But saying “sorry” combats the negative emotions that permeates in relationships when one partner hurts the other. Not saying sorry accumulates the hurt which can become something greater sometime later and possibly lead to divorce. If your marriage is also showing these signs then, act fast and work hard to eliminate them before your relationship falls apart!